Find the 2019 Indoor Play Space Guide here. There is an affliction that strikes homes across the Midwest every winter. It is not the flu. Not the common cold. It’s cabin fever – that point when it’s too cold to go outside and the thought of playing one more board game or building yet another blanket fort is enough to drive even the most patient person mad. So, what is a parent to do when they find their kids bouncing off the walls this winter? Head to an indoor playground, of course! Thankfully, Des Moines has plenty of options. The Grimes Park and Recreation Department sponsors a weekly Bounce and Play Time for kids ages 10 and under and their parent/guardian at the Grimes Community Complex. Activities include a bounce house, scooters, trikes, and various sports balls for use. 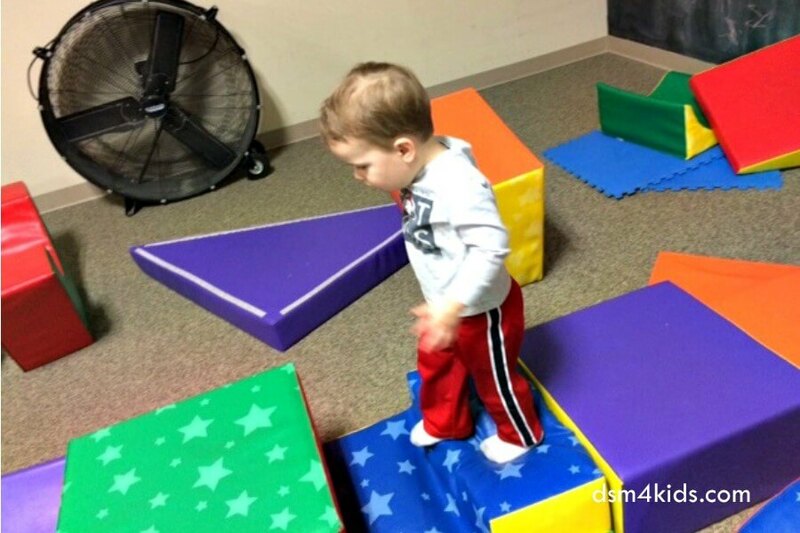 Imagination Playschool allows kids seven and under the chance to make new friends and play on all kinds of equipment: climbing tower, big wheels, play houses, tumbling mats and gymnastics. Imagination Playschool is sponsored by Des Moines Parks and Recreation. When: November 2017 – March 2018; Mondays, Wednesdays and Fridays at 9:00 am to 2:00 pm. Special evening Imagination Playschool sessions are hosted the 3rd Friday of the month until 7:30 pm. Kids ages one year through preschool can burn off some energy this winter. Indianola Parks and Recreation will provide the fun (toys and equipment), you provide the child and supervision. Need to get out of the house and let that toddler run off some steam? West Des Moines Parks and Recreation have created an indoor playground that can help get the job done. Toys, slides, and riding toys will challenge your child for a day of fun! Parents are required to stay and supervise their children. Waukee Parks and Recreation provides the fun and parents provide the supervision. Toddler toys ranging from blocks to tunnels and mats are available. Want to get your little one out of the house to play? Come and play with Pleasant Hills Parks and Rec inside this winter! This program provides a place for care givers to bring their children ages 2 and up to play in a safe and fun environment. Tot Town is a fun and safe children’s playgroup that is at Valley Community Center and is open to the community. Their Community Center gym space turns into an indoor playground designed for children ages 2 to 6 years and their families. Activities offered include a large inflatable bounce house, small bounce house, carnival games, board games, ball pit, toys, puzzles, books, and more. The Jordan Creek Town Center children’s play area is located on the lower lever near Dillard’s. The Merle Hay Mall play area is located just inside the Main Entrance. The Valley West Mall play area is located on the lower level near Younker’s. Mall. Toddlers can bring their riding toys and ride around the skating rink at Skate North Incrediroll. Oh, and it’s a probably a good idea for them to bring their parents along too. In most free-standing Chick-fil-A restaurants, you’ll find an indoor playground where the kids can play and climb to their heart’s content. They even have a “toddler zone” in each playground with smaller play structures dedicated to little ones under 3. When: Monday through Saturday 6:30 am to 10:00 pm. CLOSED Sunday. Chuck E. Cheese’s offers family fun and entertainment, Where A Kid Can Be A Kid®! You’ll find high tech arcade games and low-tech games like skee ball; kiddie rides and climbing areas for the little ones. Several McDonald’s in the Des Moines area have PlayPlaces, indoor playgrounds where kids ages 3 – 12 can climb and make their way through tunnels. With a name like Backyard Adventures it’s pretty obvious what active little kiddos can do here. Swings, slides and backyard play equipment make for an entertaining time. Your child is in for a fun-filled afternoon during Open Play at Rainbow of Iowa’s indoor showroom. Kids can swing, climb, slide, use the trampoline and shoot hoops. It’s a great way to spend an afternoon regardless of the weather. This fast food chain offers the kids a chance to burn off some energy in their indoor playgrounds at a few of its restaurants in the Des Moines area. Get Air Des Moines trampoline park offers large areas for jumping, foam pits, and a dodgeball court. They also have a special section in their “Kiddie Court” set aside for kiddos under 46”. In addition, they host Toddler Time on Tuesdays and Thursdays from 10:00 am to 12:00 noon. Hop-A-Lot Rentals has been bringing fun and unique inflatables to Central Iowa for more than 12 years. They’ve now brought their inflatables indoor for the winter. They are in Merle Hay Mall in the old MC Sports space and offer Open Jump every day during mall hours. Cost: Monday thru Thursday is $6.00, Friday thru Sunday $8.50 and 2 and under are $5.00 any day. Here you’ll find several massive inflatables for kids under 12. There are huge slides, obstacle courses and bounce houses that will keep your kids entertained for hours. For your tiny tots there’s the Mini Monkey Zone, which is a separate toddler play area that will keep your little ones safe and secure. When: Monday to Saturday 10:00 am to 8:00 pm; Sunday 11:00 am to 6:00 pm. Check the website for holiday hours. Cost: $8.49 Monday, Tuesday and Thursday; $5.50 Wednesday; $10.99 Friday through Sunday and Holidays; $5.50 for 2 and under if playing. Frequent User Cards may also be purchased. Open jump times welcome kiddos of all ages to hop around the giant bounce houses, which feature slides, climbing and obstacles. Watch their calendar for Open Jumps, Glow Jumps, Parents’ Night Out and other special events. Hours: Open Sunday to Saturday. Times vary. Check their calendar of events for specific hours. Who doesn’t love massive trampolines? 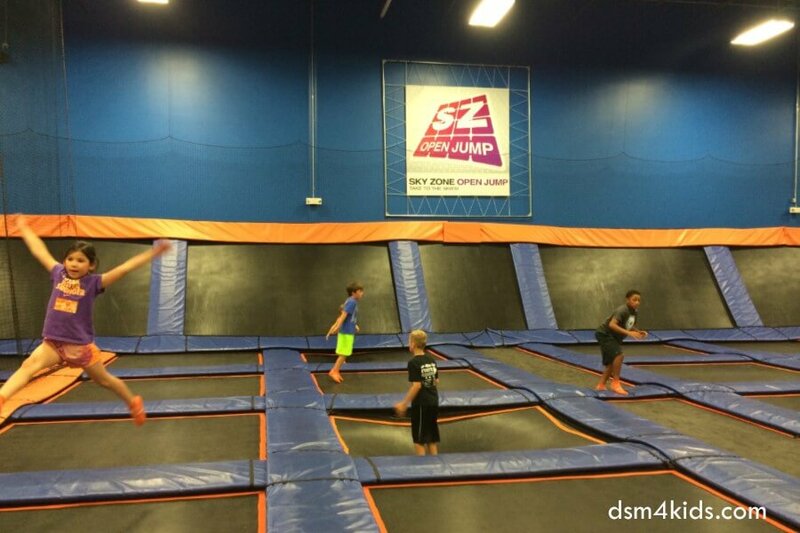 If your kids love to jump, Sky Zone will send them soaring. Located in Grimes the facility features a gigantic trampoline area for jumping and doing tricks, a jumping pit, basketball hoops and dodge ball areas. They also have a small spot for kids under five to jump. When: Winter Hours are 3:00 to 8:00 pm Tuesday to Friday; 10:00 am to 9:00 pm Saturday; 12:00 pm to 6:00 pm Sunday. Check their website for special events. The Playground for Kids combines fun and fitness. They have two rooms that house five inflatables and a ginormous play room that features an enormous tree house for kids to play on. There’s also a concession stand and smoothie bar. Check their on-line calendar for their daily deals. When: Monday, Wednesday and Friday 10:00 am to 8:00 pm; Tuesday and Thursday 10:00 am to 4:00 pm; check their on-line calendar for Saturday times. Cost: $8.99 for 2 to 12 year olds; $5.99 walkers up to 23 months and special needs; non-walkers FREE with a paying child. What’s your family’s favorite indoor playground in Des Moines? Let us know in the comments below!